“A palace for Prince Charles,” “Prince Charles is saving Polish landmarks,” “Prince Charles is buying Sarny”. Those were the headlines from 2010 on TV and in newspapers. For about a year it seemed certain that the heir to the British throne would take over the castle and park in Sarny. After much initial enthusiasm in some and protests from others, there came silence. By 2011, Sarny had been put up for sale but all auctions came to nothing. Skeptics seemed to have been proven right – that The Prince of Wales had never been interested in Sarny or that he had given up, intimidated by the enormity of the task before him. What was the truth? Here are the details thus far known to only a handful of people. Prince Charles wasn’t simply interested in Sarny — he was personally assured that the castle, under his patronage, would be renovated. London-based trust Save Britain’s Heritage wanted to replicate in Poland, at a much larger scale, the conservation projects that His Royal Highness participated in in Romania. His Royal Highness owns buildings there on a former farm in the village of Zalanpatak, transformed into a unique farmland hotel. The Prince visits once a year, signing the guestbook “Charles” and adding the dates of his visits, which are covered in detailed by the press. 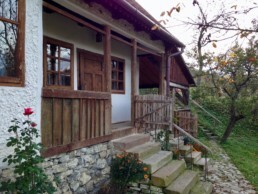 For most of the year the property is available to outside guests. I visited the place as a correspondent of The Wall Street Journal in October 2014 to be greeted by Tibor Kalnoky, of a family of Hungarian counts, who manages this and other properties for the Prince. Zalanpatak is located in a valley, just like Sarny. More than anywhere else in Europe, it’s away from civilization. There’s no cellphone coverage, no Internet or television. All you hear is cowbells. 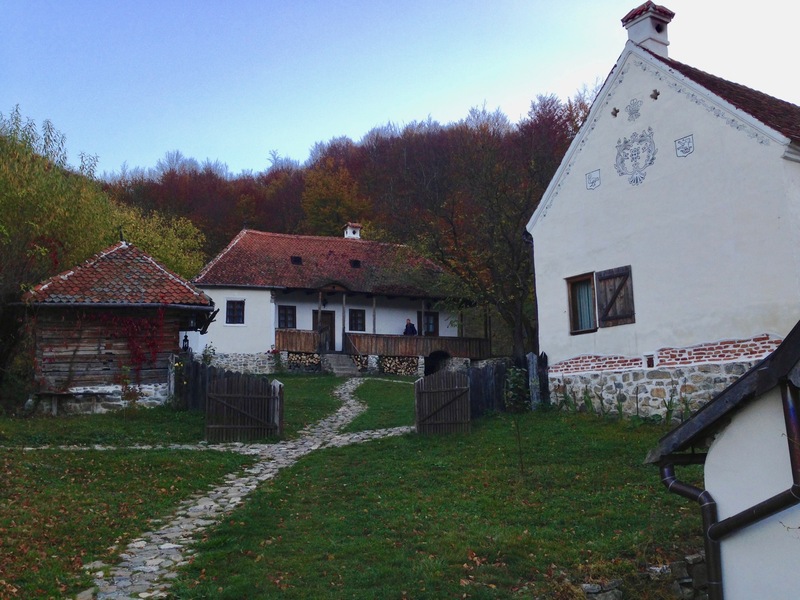 The Prince’s Polish project was supposed to be much larger than those few houses in Zalanpatak. 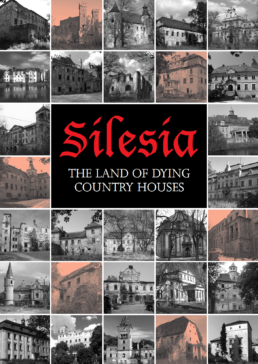 The idea for an investment in Poland was conceived during a long excursion of British and Polish conservationists and urban planners around Lower Silesia. 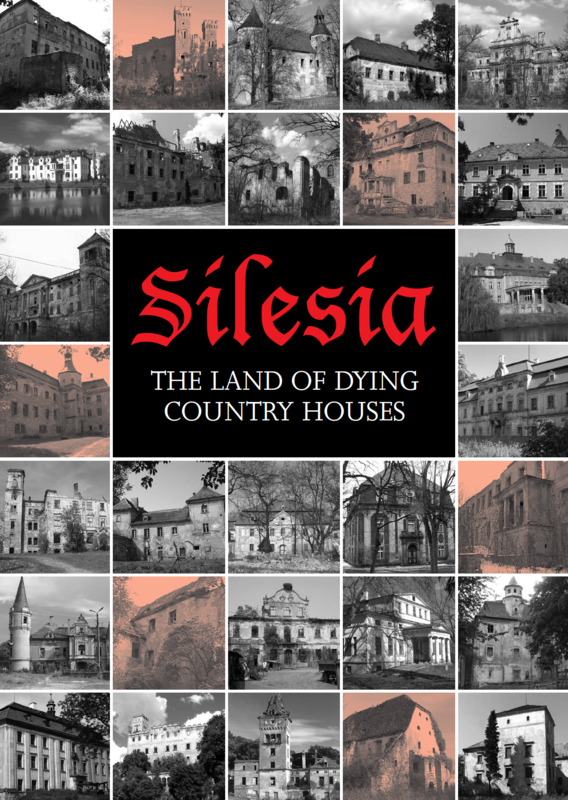 Its fruit was a report called Silesia: The Land of Dying Country Houses. It was that book, describing the level of destruction of historic residences in Lower Silesia, that convinced Prince Charles to act. 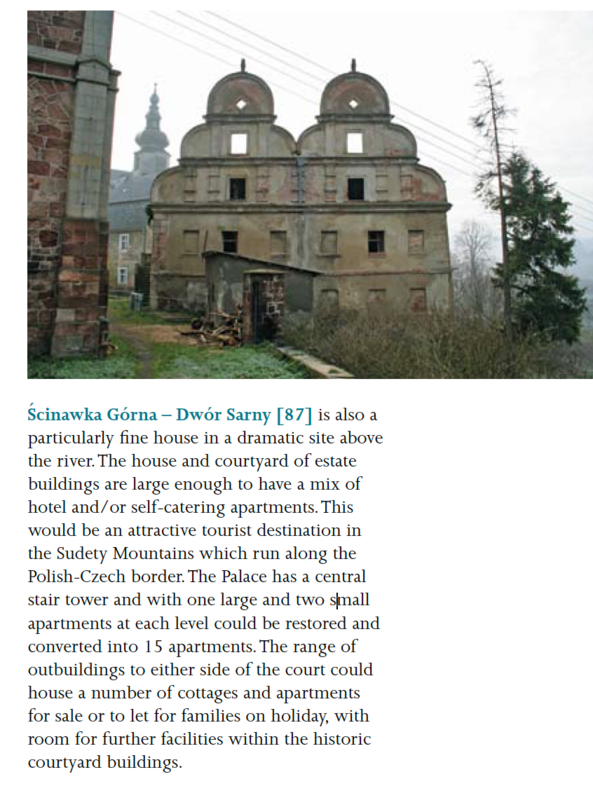 Sarny, one of the properties in the report, was selected and became the main topic of the Prince’s meeting, during his Poland visit in March 2010, with Poland’s Minister of Culture. It was then that the takeover started to look certain. “The English were here?,” asked Maciej Maciejewski, a journalist with the state TV. “It’s quiet for now, they told us to look for places to live,” responded the woman. The takeover never happened because the only way to privatize Sarny was through a public auction and that hadn’t been the original deal between the Prince and the minister. The British trust looked on as auctions were happening in 2011 and 2013, perhaps hoping the situation might change. When we were buying Sarny at the end of December 2013 we weren’t aware of all these details. We were in fact among those doubting the Prince had ever been involved. Save Britain’s Heritage got in touch very quickly. In May 2014 the above facts were given to us during a meeting in London and later that year during our visit at High Royal Highness’s property in Romania. We also received initial conceptual drawings for Sarny made in 2010 and 2011. The trust has sent information about the renovation to the Prince’s office and has updated conservationists in Britain of our progress. We’re honored and thankful to Save Britain’s Heritage, its President Marcus Binney, and to Wojciech Wagner who coordinated the efforts on the Polish side, for the design work done some years back that allowed us to start renovation immediately. Our plans for the property are similar to those made by the London-based trust — a place where heritage is available to as many as possible, with each building given its own distinctive use, ranging from a museum and concert venue to a place of relaxation. Even though the efforts of some years ago didn’t immediately bore fruit, Prince Charles and Save Britain’s Heritage will always remain part of Sarny Castle’s history. His Royal Highness owns buildings in the village of Zalanpatak.